Electric shavers are often associated with a high upfront cost. And that’s true in the case of most high-end, feature-packed models. Another important aspect that’s also often neglected is the price of the replacement foils and blades. 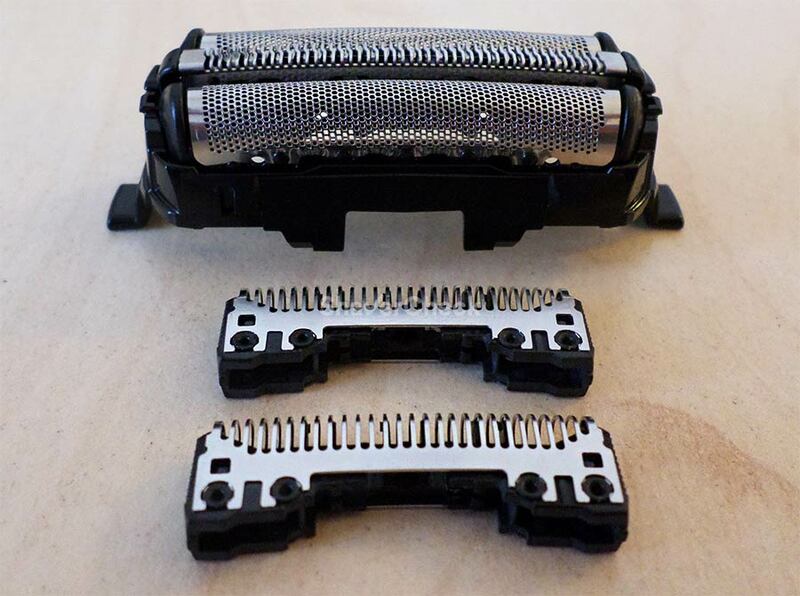 Usually the more complex and advanced a shaver is, the higher the cost of the replacement parts. These things can make a budget conscious buyer stay away from electric shavers altogether. And for good reason — nobody wants to spend a ton of cash on something when there are cheaper alternatives available. Luckily, there are several inexpensive electric razors as well that offer excellent performance and do so at a reasonable price. In this article we’ll explore some of the best budget electric shavers out there, see what makes them suitable in certain situations and find out how to get the most out of an inexpensive razor. Purchase price and cost of ownership are the two important factors to consider here. Obviously, we’ll want an electric shaver that offers the best value for money. High-end, advanced electric razors come with a very hefty price tag. They usually provide superior performance, being fitted with powerful linear-drive motors, have multiple cutting elements and incorporate several advanced technologies (beard density sensors, vibrating foils, advanced LCD displays and so on). However, not all of these technologies will contribute to the actual shaving performance — at least not to a significant degree. For example, the speed settings and beard density sensors often turn out to be just gimmicky features in real life. 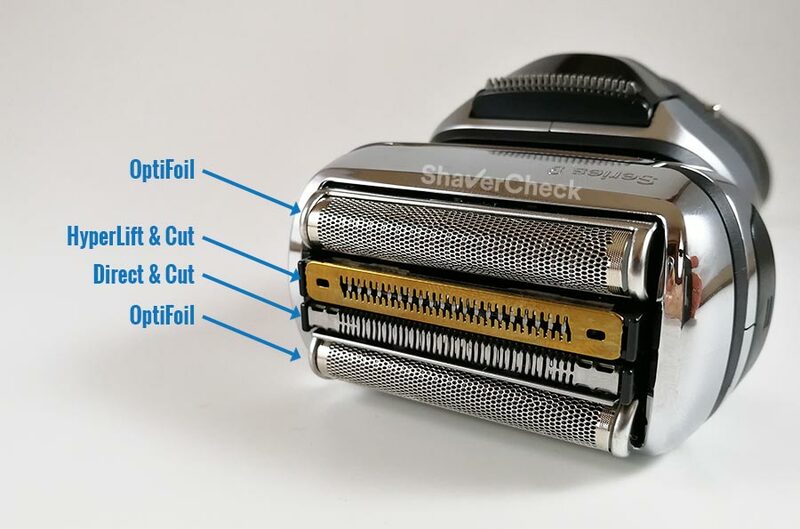 Also, 3 individual cutting elements should be enough for most users; four or five blades can be overkill, particularly in the context of shaving daily. 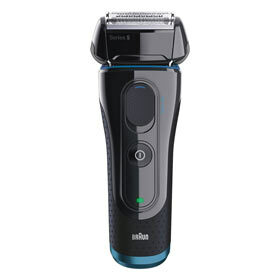 The cost-effective Series 3 electric shavers from Braun feature a 3 blade shaving system. An automatic cleaning station is nice to have, but it adds a lot to the purchase price and most razors are easy to clean manually. The cleaning refills, particularly the ones from Braun, imply a higher running cost. Another common practice for keeping the price low is to include fewer goodies in the retail package (things like protective caps, travel cases, lubricant and so on) or to sacrifice build quality. We definitely don’t want a poorly built shaver, so we’ll steer clear of those. With that said, the things that matter the most for getting a close and comfortable shave are in my opinion a powerful motor and a high-quality shaving head. We’re interested in finding electric razors that offer these important features and leave out the ones that aren’t absolutely necessary. In doing so, they manage to offer the best value for money and they represent a great compromise between cost and performance. Let’s now check out some of the best budget razors you can buy in 2019. What are some of the best affordable electric shavers? 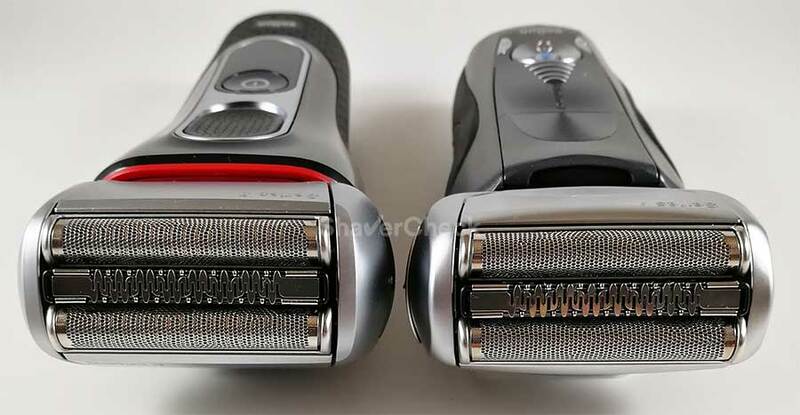 The Arc 3 shavers from Panasonic are in my opinion some of the best budget electric shavers as they really offer fantastic performance for the price. If you’re interested in getting a very close and fast shave, I don’t think you can find a better option for the same money. There are a lot of different models in the Arc 3 line, but the older ES8103S is usually the best pick due to its lower price. It’s fitted with a very nippy 13 000 CPM (cycles per minute) linear-drive motor, just slightly less powerful than the range-topping Arc 5 models from Panasonic that come with 14 000 CPM units. This, along with the sharp, high-quality blades make the ES8103S one of the best performing budget electric shavers out there. Unlike the pricier Arc 4 and Arc 5 models, the Arc 3 only comes with three cutting elements. However, it is still fast enough and suitable even for a coarse beard. A side benefit of having a less complex shaving head is the lower cost of the foils and blades combo (part no WES9013PC). Another advantage of the ES8103S (and of any other Arc 3 model in fact) is the ease of cleaning and maintenance. Cleaning a Panasonic Arc 3 is very easy. Pictured here is the newer Panasonic ES-LT3N. Since the inner blades are separated from the foil block, you have great access for a thorough cleaning. Speaking of which, you’ll only need a bit of liquid soap and you can rinse everything under warm tap water. All Panasonic Arc 3 shavers are fully waterproof and can be safely cleaned with water or used in the shower. There’s even a special cleaning setting, called Sonic mode, that makes the blades oscillate at a very high speed, dislodging any stubborn dirt buildups. I can honestly say that you really don’t need a cleaning station with a Panasonic shaver — they are that easy to clean. 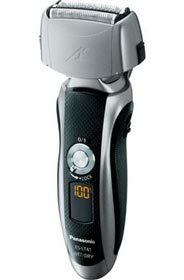 Finally, it is a very robust and solidly built shaver that can really take a beating. It’s also very easy to use and nimble, making it a great choice for a first time user. As all entry-level, affordable shavers, the ES8103S works best when used daily or every other day. Usually, cheap electric shavers don’t fare too well with longer, flat-lying hairs and you’ll have to spend a lot more money on something like a Braun Series 7 or Series 9 that can capture difficult hairs more efficiently. Finally, if you have very sensitive skin, using a pre-shave lotion or even shaving cream may help since Panasonic razors can come across as a bit too aggressive (a small tradeoff for that excellent closeness). If that’s the case you may be better off with a Braun Series 3 that is significantly more gentle especially during a dry shave. 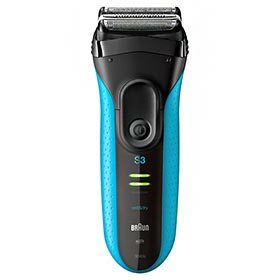 The Series 3 is Braun’s alternative to the Arc 3 line from Panasonic and both represent viable options for a budget-friendly electric razor. However, they excel at different things. While the Arc 3 models are particularly good at providing very close shaves, the Series 3 are more comfortable and more forgiving, especially during a dry shave. This makes the Braun Series 3 a better option if you have sensitive skin. They are also better at capturing those longer, flat-lying hairs compared to the Arc 3. The current Series 3 generation includes several variations, suitable for wet/dry and dry only operation. Some of them even come with an automatic cleaning and charging station, like the Series 3 3050cc or 3090cc, but those are a bit pricey and we’re mainly interested in the affordable ones. With that said, the Braun Series 3 3040s ProSkin will generally be the best pick of the bunch. It’s often sold at a discount, it’s suitable for wet & dry use and it includes a long hair trimmer (not all the Series 3 models do). As mentioned earlier, the Series 3 excels at providing a comfortable shave. The closeness is adequate but not quite as good as the one you’ll get from a Panasonic Arc 3. In my opinion the Arc 3 will be better suited for someone that is particularly interested in getting a close shave. Being a basic shaver, the Series 3 also works best when used on shorter stubble, so you’ll get the best results if you use it daily or every other day. However, it does fare a lot better than other foil shavers in its price range when used on 3-day beard for example (it’s definitely better than the Arc 3 in this regard). Since the 3040s is waterproof, it can be used in the shower or with shaving cream if you choose so. However, I don’t find any of those to improve the results in a significant manner (in my opinion Panasonic razors work way better with shaving cream or gel). The replacement shaving heads for the Series 3, called cassettes, are the 32B (black) and 32S (silver). The cassettes are priced similarly to the foils and blades needed for an Arc 3, so the costs of ownership will be pretty much the same for both. Deciding which one to get should come down to your needs (closeness vs comfort). The ES-LT41-K Arc 3 is a newer iteration of the ES8103S presented above in the number 1 position on our list. It comes with an updated, more modern design and a cleverly integrated travel lock — the ES8103S doesn’t have one. However, the foils and inner blades are the same and it even uses the same powerful motor. As a result, the actual shaving performance of the ES-LT41-K will be pretty much identical. However, since it costs marginally more or sometimes even less than the older ES8103S, I think it’s a worthy contender and you should at least check it out before deciding which one to buy. There’s really not much to say about it as everything stated previously for the ES8103S is relevant here as well. The ES-LT41-K is an excellent performer, easy to use and to clean and a great option for a tight budget. This particular model is one of the best-selling rotary razors, the main reason for that being its low price. The Shaver 3000 from Philips Norelco is a bare-bones shaver, suitable for dry only use that can be a great option in several situations. First of all, entry-level rotary shavers are usually better than entry-level foil shavers at capturing longer, flat-lying hairs. During my review of the Shaver 3000 I also found this to be true and it actually performed surprisingly well in this regard. It’s pretty comfortable too, though not as good as a Braun Series 3. So if you have a sensitive skin, you may want to consider the Series 3 instead. 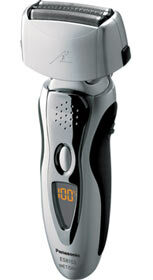 Being a rotary razor, the Norelco Shaver 3000 is very quiet compared to a foil-based shaver. 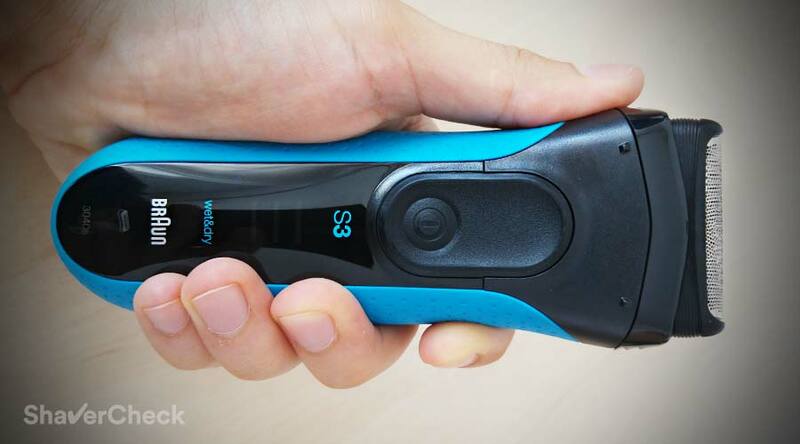 Since it’s suitable for dry operation only, you can also shave while the razor is charging. You cannot do that with any of the previous shavers in this list. 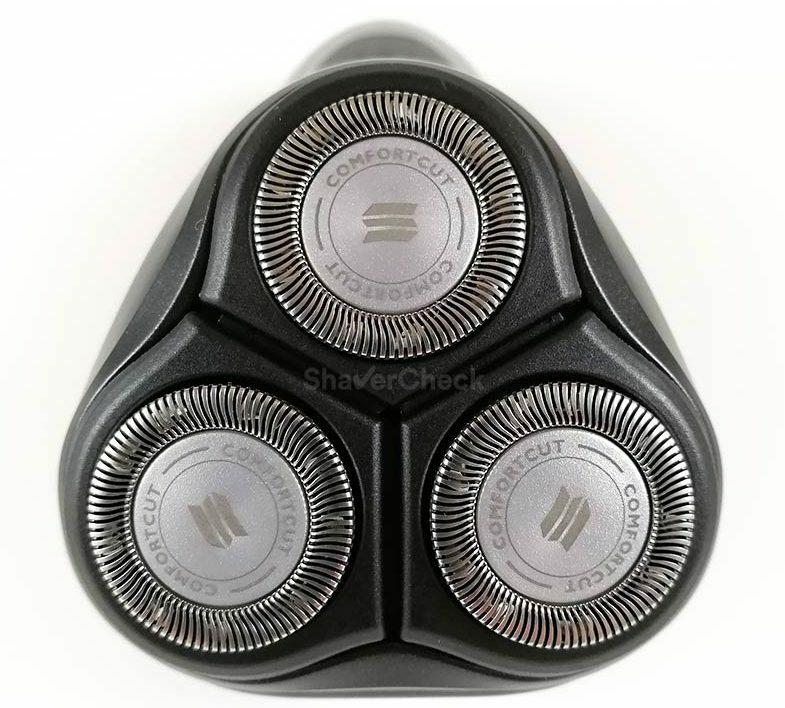 This model uses the SH30/52 replacement shaving heads and again they cost pretty much the same as the ones needed for a Panasonic Arc 3 or a Braun Series 3. As for the downsides, rotary razors can’t shave as close as most other foil shavers, at least that was my experience. So if closeness is very important to you, a foil shaver should be considered instead. 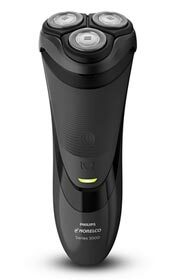 If however you’ve decided to stick to rotary shavers and also want a better performing one, the Philips Norelco 6100 is probably the best option out there that won’t break the bank (it is more expensive than the Shaver 3000 though). The shavers featured so far can be bought at a very reasonable price. There are cheaper shavers out there as well, including travel shavers, but after using some of them I highly recommend you to stick to the ones presented here and don’t go any lower as your shaving experience will likely suffer. It’s simply not worth the few extra dollars you’ll be saving. Now, this guide was about finding inexpensive electric shavers that offer the best value for money. But inexpensive is a relative term and it can mean different things to different people. With that said, the next shaver costs more than the previous models in this list but still remains affordable in my opinion. Depending on the situation, it will provide superior results and will be worth the extra money. The Series 5 from Braun is in my opinion the entry point to Braun’s high-quality shavers. The performance leap from the Series 3 is significant. This comes as no surprise since the Series 5 is basically a more cost-effective Series 7 without the bells and whistles (speed settings, vibrating foils). There are quite a few Series 5 models available to buy; the differences include color schemes, accessories, wet/dry or dry only operation and, of course, price. Since the actual shaving performance will be the same throughout the entire line, we’ll focus on the most affordable models. The Series 5040s is usually priced lower than the other variations and it’s therefore our pick. The Series 5 is remarkably comfortable and forgiving, ideal for men with sensitive, irritation-prone skin. The 5040s is suitable for wet & dry operation, but I would stick to using it dry as it’s already very comfortable and adding a shaving cream won’t really improve the closeness. Speaking of which, I found it to be quite good and most men will be perfectly satisfied with the results. Again, a similarly priced shaver from Panasonic like the Arc 4 will get you a closer shave, but at the expense of being less comfortable. The Series 5 fares very well with longer, flat-lying hairs, especially the ones on the neck. Foil shavers are usually pretty bad at this, but Braun’s specially designed cutters work great and manage to capture stubborn hairs very efficiently. This means that you’ll be able to shave less often with the Series 5 and still get very good results. 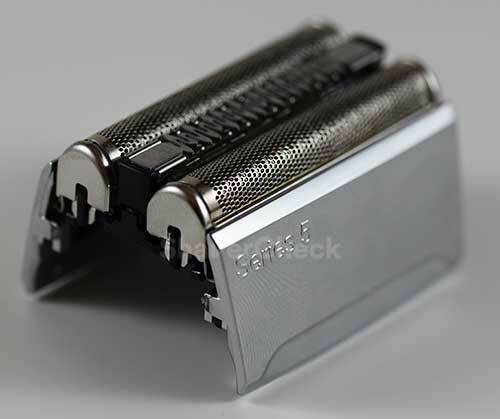 The Series 5 uses the 51s (silver) and 51b (black) replacement shaving heads. They aren’t as cheap as the ones used by the Series 3 for example, but still cost a lot less than the parts needed for high-end shavers. To keep the price low, the 5040s doesn’t come with a cleaning station, which means that you’ll have to clean it manually after every use. 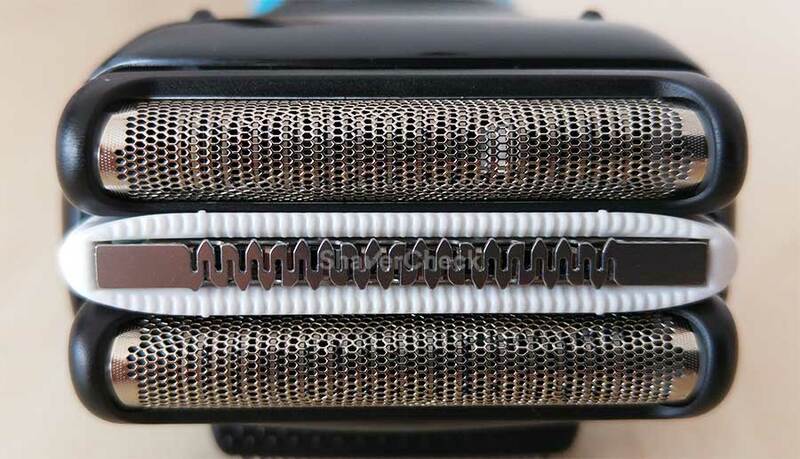 And that’s a bit fiddly in the case of Braun shavers since the blades and foils are merged into a single unit that offers minimal access for effective cleaning. That’s pretty much the only real downside of the Series 5. You can get it with a cleaning station as well in the form of the 5090cc/5190cc, but you’ll have to spend more money on that one. Once you’ve settled on a particular razor, it’s now time to put it to good use. Here are a few easy, but very effective tips for shaving on a budget. Strive to shave more often. As mentioned throughout this guide, entry-level razors can have some trouble with difficult facial hair. I’m talking of course about hairs that grow parallel to the skin and in different directions. To minimize this shortcoming, try to shave while your whiskers are relatively short (less than 2mm). I mentioned shaving daily or every other day, but it really depends on how fast your beard grows. If you have light to medium facial hair you can get away with a few days between shaving sessions. Use a pre-shave lotion or a quality shaving cream. Pre-shave lotions are inexpensive and also very effective in most cases. They make the hairs stand upright, making it easier for the shaver to capture them and overall contribute to a smoother and closer shave. It only takes seconds to apply a pre-shave, but it can really improve the performance of a basic electric shaver. My current favorite is the Speick Pre Electric Shave Lotion and it’s a great addition to my dry shave routine. The other option would be a shaving cream if your razor is suitable for wet/dry operation. I know most men prefer to shave dry for the convenience, but wet shaving can be a great option for someone with very sensitive skin for example. Panasonic shavers work particularly well with shaving cream in my experience, so if you have one give it a try and see how it goes. Clean and lubricate your shaver regularly. This is something you should be doing regardless if you have a cheap or a high-end electric razor. Hairs, dead skin and dirt buildups will definitely reduce the efficiency of the cutters and they will also wear out faster. Lastly, not maintaining a proper hygiene of your shaver is a surefire way to infections. Regular cleaning and lubrication will prolong the life of the foils and blades while ensuring that your machine performs as it should. Having to replace the shaving head more often pretty much defies the whole purpose of owning a budget shaver. Most modern electric razors can be easily cleaned with liquid soap and warm tap water. Your user manual should include detailed instructions on how to perform a thorough cleaning. Make sure your razor is charged. You’ll want to take advantage of all the power of the motor as you’ll generally experience a performance drop when the battery is almost out of juice. Not all electric razors can maintain peak power when the battery is drained and this is when tugging and pulling may occur. Modern Li-ion batteries aren’t affected by memory effect anymore, so you can charge your shaver as often as you need without any worries. 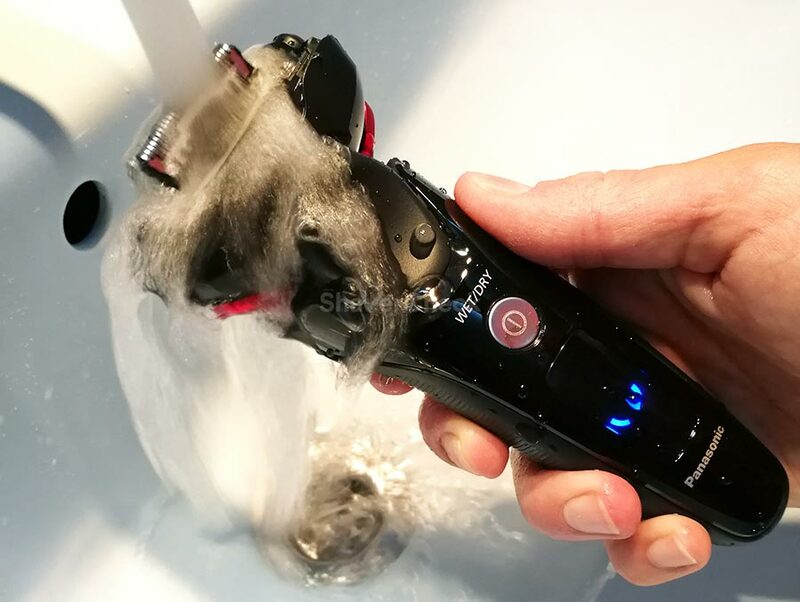 Home » Articles & Guides » Best Shavers » What’s The Best Affordable Electric Shaver (2019)?